Do you have a faulty printer or printers lying around your office? 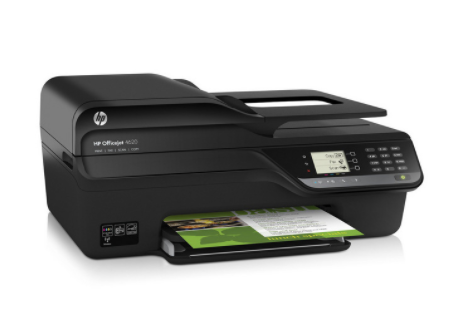 Or have your printers grown old and obsolete? Either way, you may need to get rid of them to create space for new ones or other things. With the current technological improvements, more advanced printers have come up, rendering the old ones obsolete. Consumers eagerly buy the advanced devices to replace their old-fashioned ones and to be able to enjoy the added features. This has led to the question: What should you do with your "old" printer?" At South Bend Junk Removal, we have the answer! We can help you with printer recycling, to take the stress of an old printer off your shoulders. When it comes to electronics like printers, you can't just throw them away if they become old or faulty. Printers are made of plastic and metals that may be harmful to the environment. Through recycling, you will be making a significant step towards preserving the environment and conserving our limited resources. Disposing them improperly may be hazardous and dangerous. Also, improper printer disposal in South Bend Indiana may lead to wastage of materials that can be reused. Don't make this huge mistake, hire South Bend Junk Removal for local electronic recycling. ​If you have printers that you no longer use, the best thing is to surrender them for recycling. These electronic devices can be taken apart and their different parts recycled. By recycling, almost all individual parts will be reused. Only a small fraction may not be fit for reuse. Another benefit of recycling is that damaged parts will be taken out and disposed of properly. This will decreases the chances of having toxic waste in your office or home. At South Bend Junk Removal, we have our recycling programs, and you can surrender your printer(s) to us. You can contact us so that we arrange an old printer pickup and help you recycle it. To maintain a healthy planet for future generations, it's important to recycle our electronic devices, and if they are completely damaged, they should be disposed of properly. It is your responsibility as a consumer to be wary of the risks of improper electronics disposal. At South Bend Junk Removal we are well equipped to recycle or dispose of any electronic equipment you no longer need. Your efforts and our efforts will keep our environment free from unsafe toxins and ecosystems free from danger. If you are a large company and have big printers that need to be picked up, we can arrange for that. We will come in, sort everything and carry the ones you don't need. The useful parts will be recycled while the waste will be disposed of in a proper manner. This will create more room and make materials from your old printers usable again. Take advantage of our recycling and disposal programs today and enjoy high-quality services.